Beautiful traditional home, built in 2015, in a quiet neighborhood great for families. 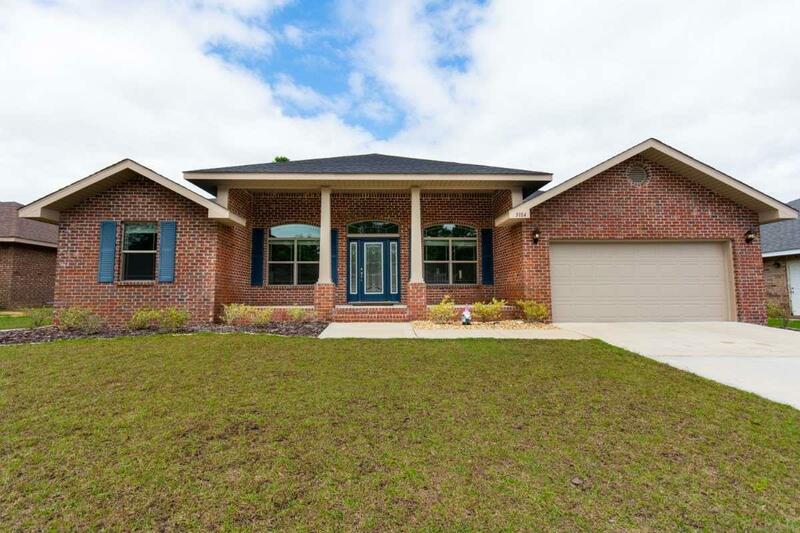 The location is close to schools, 20 minutes to Whiting Field, and 10 minutes to Pensacola. To the right of the foyer is the formal dining room. To the left is a spare room that would be great as an office, complete with double doors for privacy. Gorgeous updated kitchen featuring granite countertops and stainless steel appliances. It also features a raised breakfast bar, open to the living room making it great for entertaining guests. The master bath features an upgraded tall double vanity, walk-in closet, and soaking tub. The spacious master bedroom leads to the back-yard, a great place for summer BBQ&apos;s with friends and families. Don&apos;t miss out on your opportunity to join this highly desired community.